I am trying to convert HTML 2 PDF with this library and its converting fine as per my expectations. However, When I convert with more data, its giving me an error saying 504 Gateway Timeout. 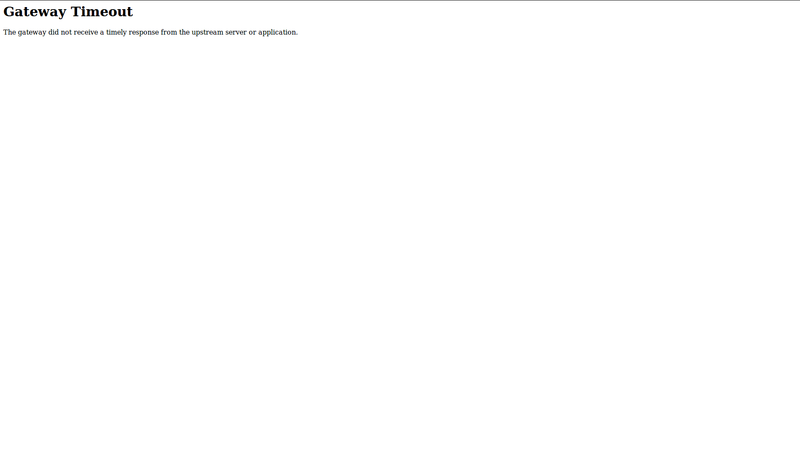 Here is the error screenshot what I am getting. In local server its working fine. I have the same server in my local and my live (Linux). The only problem is I am getting when I try to produce PDF with long data on live server. I researched and found out that to increase php execution time and other settings. Hence I try to put below code in my .php file. I even try to set max_execution_time to 0 and -1 but yet its not working for me. After setting this values, I even printed the updated values with phpinfo(), the values are overwriting but I am having the same 502 Gateway timeout error. Here is small chunk of code just in case you want to see. I tried to preview how my HTML is generating and its generating without any error. So basically I am facing server issue here as per my understanding so far. Can someone guide me what should I do from here on to solve this issue.